For the past few weeks I have combed the paella and sangria filled landscape that is Spain to come up with a definitive La Liga preview. For the most part, La Liga coverage in English is a bit difficult to find, so I have had to do lots of digging to figure out what is going on with the teams that have ascended into La Liga from the Segunda Division last season. However, there is no shortage of talk about La Liga in Spanish, thus I do a good deal of time trolling the Spanish dailies and team forums to get all the goods. It was so much easier when I lived there. In all of the previews, I’ll give you the team, stadium, nicknames, who’s out, who’s in and what is going on. I don’t give starting 11’s because I’m shockingly bad at that. Your teams today are the newly promoted sides, Real Valladolid, Almeria, and Murcia. Interesting Fact: Rafa Benitez’s former squad for the 95-96 season. The Blanquivioletas look to make a mark this season in La Liga after winning the Segunda Division last season. This Valladolid team is the 2.0 version of last year, returning midfielders Rafa and Kome along with Oscar Sanchez and the few ‘canteranos’ (players who have came through the club’s system). The rest of the team this season is new under the watchful eye of Jose Luis Mendlilibar, who guided this team to the Primera Division last season. Victor was the second leading score in Liga BBVA last season with 19 goals, and Llorente was tied for 3rd with 18. As is the question with most teams acending,, can Valladolid stay up in La Liga.. I haven’t seen enough of them last season to vouch for their ability, but guessing that they have bought an entirely new team this offseason, we should know early on how they will match up with the big boys. Valladolid have gone unbeaten this pre-season and were saved in last week’s game against Cultural Leonesa by spectacular goalkeeping by Butelle, who backed up Canizares at Valencia last season. They have went the way of Chelsea and have picked up some injuries this offseason with Jesús, Iñaki Bea, Álvaro and Baraja all getting banged up this pre-season. Most are reported by the team to be ready come the beginning of La Liga. I don’t see them being relegated this season as there are worse teams out there in La Liga. I look for them to give a few of the bottom teams trouble during the season and not to be a pushover as many peg them as being. They have brought on two good players in Estoyanoff and Ogbeche, who both have great pace and should fit in well in Valladolid. Caminero says that the league will be a battle of up to eight teams and the rest will be fighting to stay out of relegation. I say don’t look for the pucelanos to be out of La Liga this season. 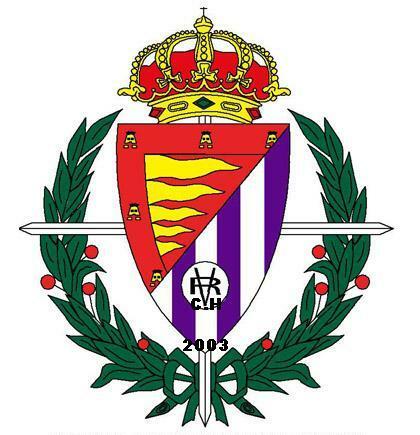 Interesting Fact: The team was only founded in 2001 after combining Almería CF and Polideportivo Almería into one club. Without a doubt, Almeria are the youngest team in La Liga, only being founded in 2001. That does not make them less dangerous or cast any doubt on this team, who look to make an impact this season. Lead by Unai Emery, Almeria have brought on a considerable amount of players to this squad, as is the case with any team moving to the top flight in their country. They were also the leading goal-scorers (73) in La Liga BBVA last season, a trend that they hope to continue this season. Unlike most teams, where there is one central goalscorer, Almeria have a ‘triple threat’ of Míchel (13 goals) Ortiz (10 goals) and Crusat (10 goals). This could hurt them in La Liga, where one striker can make a difference, i.e a Ronaldinho type player. But, Mario Bermejo y Kalu Uche also can score upfront, making the Almeria striking contingent five men deep. Not something most teams can compete with. Newcomer Álvaro Negredo netted 4 goals in one game this pre-season, giving Almeria even more of a punch upfront. But too make cooks can spoil the broth. On the contrary, there defense gave up 49 goals last season, only Tenerife who finished 7th gave up more goals in the top ten. Almeria will need to do some tightning up in the back to last in La Liga this season. Not much is being said about their back four, which can never bode well for a club. It looks like Emery’s stratgey is to win games by scoring in droves, and not by defending. I say Almeria give it a great run, but there defending and goalkeeping let them down as they can put the ball in the back of the net, but cannot defend it. Sorry Almeria, it looks to be one and done for you this season. Interesting Fact: Team was once coached by Ferenc Puskás, legendary Hungarian striker for Real Madrid who netted 84 goals in 83 games for Hungary. This club is ready…most notably the coach. Simply by looking at the websites, you know that Real Murcia mean business in their first chance at Top Flight football in the club’s history. They have entire video packages put together talking about last year’s season and the fans seem to be hungry to stay up-top for years to come. The team is unbeaten in three pre-season games, most notably a 6-0 rolling of Anderlecht. Real Murcia will be lead by Luis Lucas Alcaraz González who is in his second season with los pimentonteros. This is a coach who is very critical of his side and has an idea of what it takes to survive in La Liga. Real Murcia aquired Hector Fabian Carini, fresh off of a championship with Inter Milan last season. He will be holding down the fort in the back. They signed Fernando Baiano from Celta, who they should have starting in the front come the start of the season along with already established Ivan Alonzo who netted 14 goals last season. Curro Torres, over from Valencia will start as a outside fullback and looks to have an impact this season. Real Murcia are still pressing over signing Josué, a Brazilian national, but are stuck in negotiation on bringing him to Spain this season. Real Murcia are looking to stay in the top-flight this year and have brought on the players to make it happen. As for most of the teams coming up to La Liga, it is difficult to say just what will happen this year. Los pimentoneros are my wild card this season. I’m reserving judgement on them until I predict where each team will be right before the beginning of the La Liga season. I’m excited about watching and learning about them as the year progresses. I’m all for small clubs building new stadiums and expanding their fan base in order to grow and succeed. The jury is out.